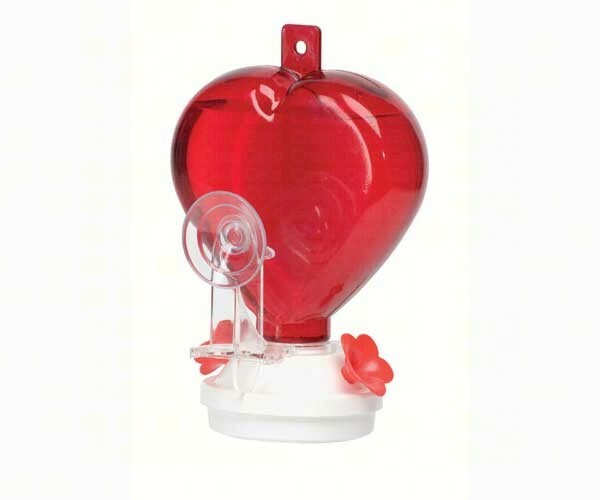 If You love hummingbirds, you will love to see them up close with this unique heart shaped window mount hummingbird feeder! 12 ounce Heart Window Feeder. Two feeding stations and window mount. 6-1/8 in x 4 in x 7-3/8 in. Makes a great Valentine's Day gift for bird lovers!